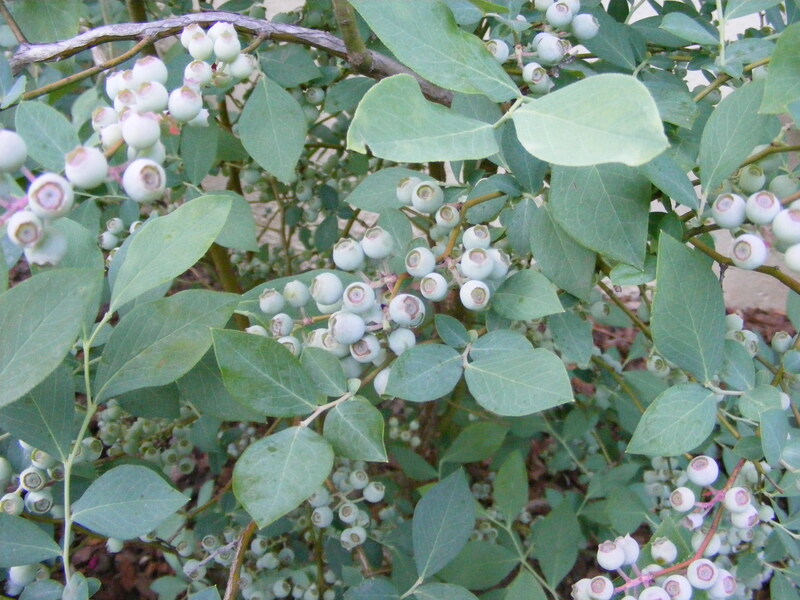 I’m beginning to think that this year I will not get to eat any of my blueberries from my fabulous bushes. On the other hand, the birds, the chipmunks, and the squirrels are having a grand ole time munching all of them. Last year, I built a large blueberry cage with my husband. It was constructed with PVC pipe and bird netting that has small holes. This worked very well at keeping out the birds, but the tiny chipmunks just burrowed under the cage. 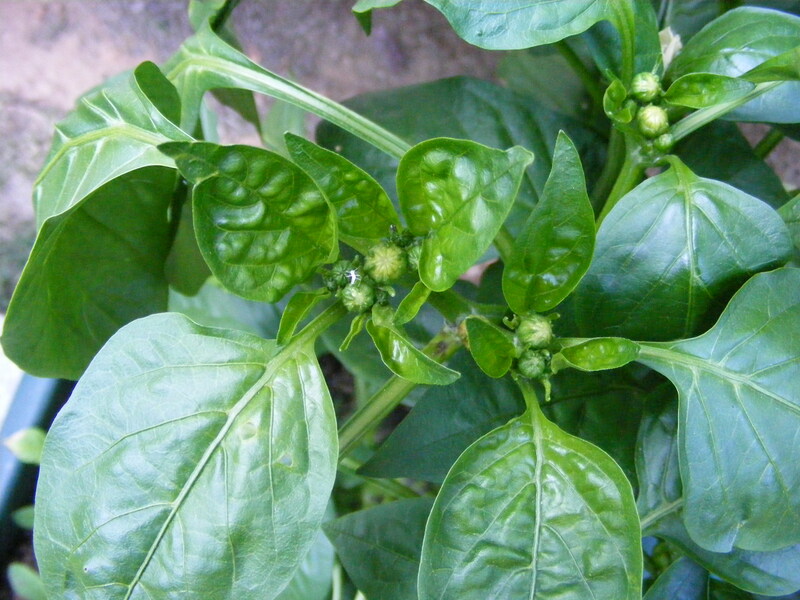 I had to spread hot pepper flakes around the outside base of the cage to deter them. I also noticed that spiders liked to build their webs inside the cage. It was very convenient for them to stretch their web in between the piping and bush branches. It was a lot of work just to get blueberries to spread on my morning cereal. Trying to raise the netting, get inside the cage, avoiding the spider webs, and not getting poked in the eye by a blueberry branch became quite an Olympic event. I began to see why some people eventually decide to stop growing edible plants. It’s quite a chore to fight all the animals away from your crops. This year, due to illness in my family and recuperation. I decided to forgo erecting the blueberry cage. It really takes two or more to get it up and firmly in place. So I decided to try some old-fashioned animal scare tactics. That is why my blueberry bushes currently look like a kindergarten art project. 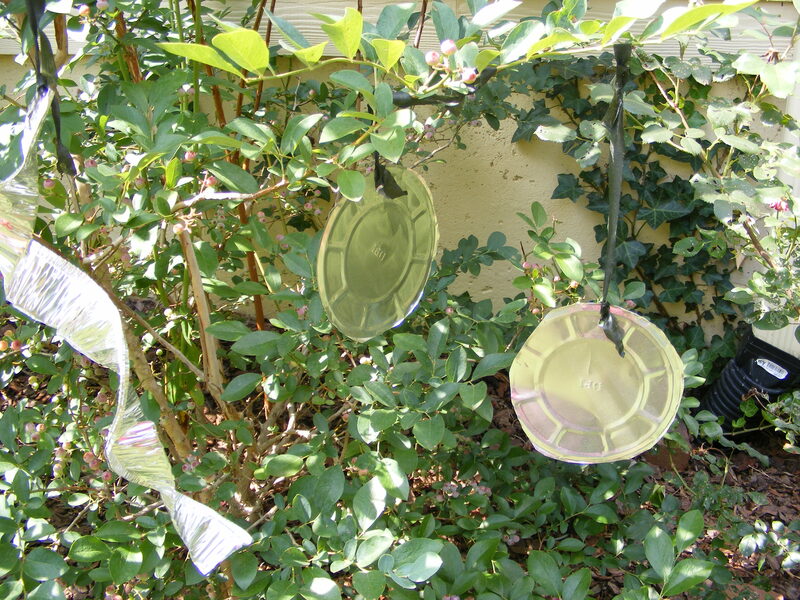 Empty aluminum pie pans and other tinsel hang from the branches to scare the birds and other animals. I believe it has worked for the birds but the chipmunks simply look at it, shrug, and say to themselves, “It’s just some pie pans.” Therefore, I’ve eaten 3 blueberries this year. Oh well. But of course, I have plans for the future. Maybe I could grow blueberries in pots. 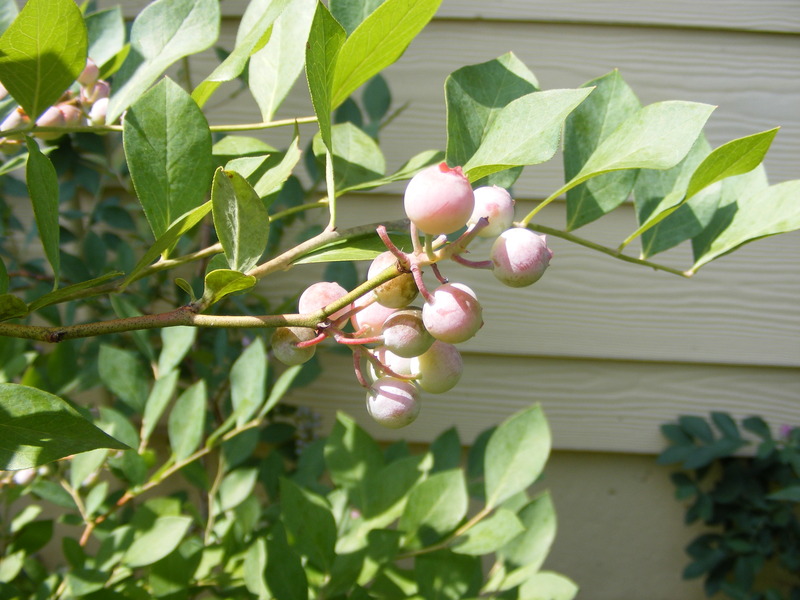 I could let the animals have the blueberries planted in the yard and I get to eat the blueberries planted in containers on the deck. I’m sure the animals will outwit me somehow, though. They look so cute but are so crafty. The little devils. Happy gardening! I was walking amongst my veggies as I was thinking about my post for this week. It occurred to me that it had been about 15 years since I had planted vegetables in the open ground. I grow almost all of my edibles in containers. I started raising edibles in containers kinda by accident. We had moved to our new house and I was pregnant with our first child. As large and pregnant as I was, it would have been difficult to start raised beds or clear a space of open ground – so there came the pots. Pots and Pots. Large pots. Small pots. New pots. Old pots. And guess what? Everything grew wonderfully! For some reason I was surprised – I shouldn’t have been. Plants are wired to live and survive. And sometimes thrive! My wonderful father is gone and I miss him terribly. I sometimes wonder what my dad would say about my container garden. In regards to my fig tree, I think he would agree that figs should be in pots. He had a tall fig tree at our family home and the birds always got most of the figs. 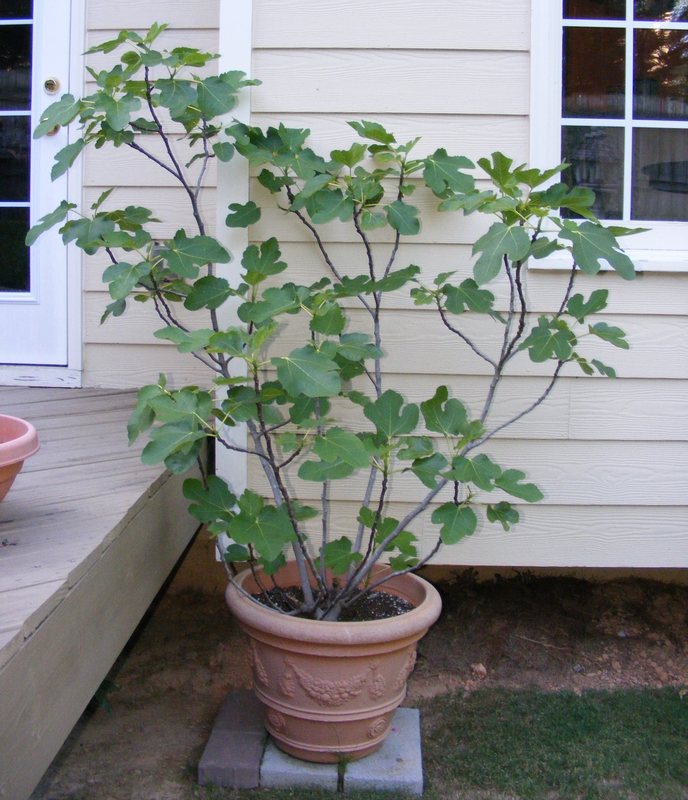 My fig produces quite a lot of fruit, and I prune it to grow no larger than 7 feet tall. I get about 3-4 dozen figs every year and they taste like ambrosia from heaven. The neat thing about this tree is that it was bought at Thomas Jefferson’s house, Monticello. Jefferson loved figs and had many fig trees around his house. This was a cutting, rooted by the workers at the Monticello nursery and it rode home to Georgia on my lap in the car. Gardening dedication at its best. Always check that they are moist – keep them well watered. 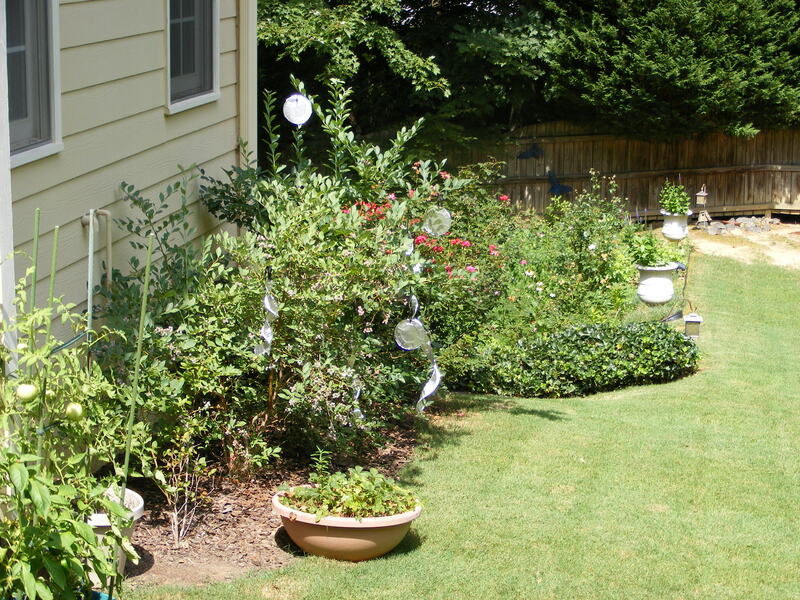 Plants in pots tend to dry out quicker than those planted in the ground. Use potting soil designed for containers. Don’t use soil out of the garden, it won’t drain as well. Don’t over feed the plants. Many veggies will put out a lot of foliage and not a lot of fruit if over fed. I put compost and manure mixed with the potting soil at planting time and maybe one more liquid feed during the season. 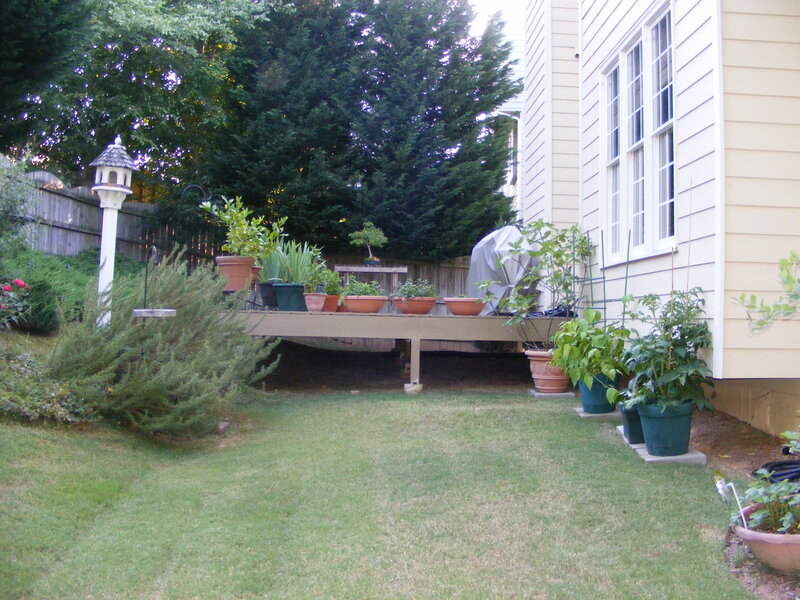 Many fruit trees like apples, figs and blueberries do wonderfully in containers. 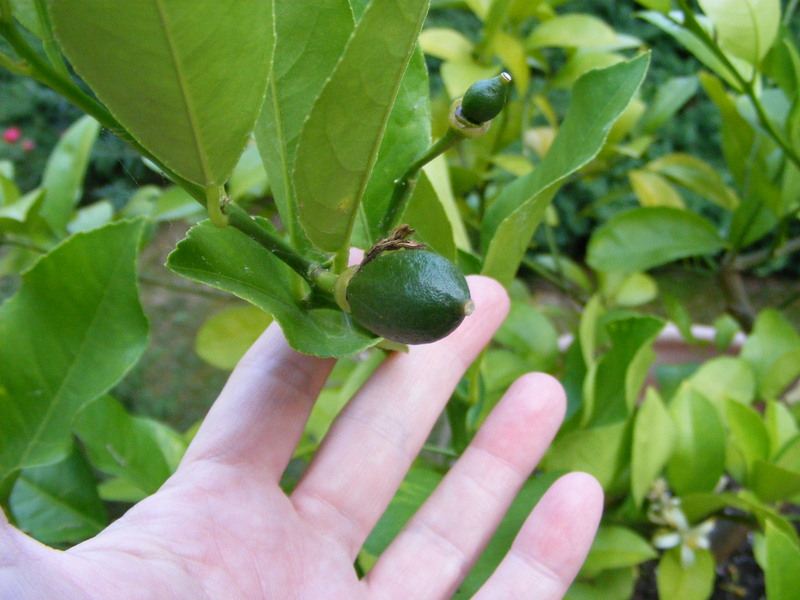 You can also keep them pruned smaller for easier harvesting. 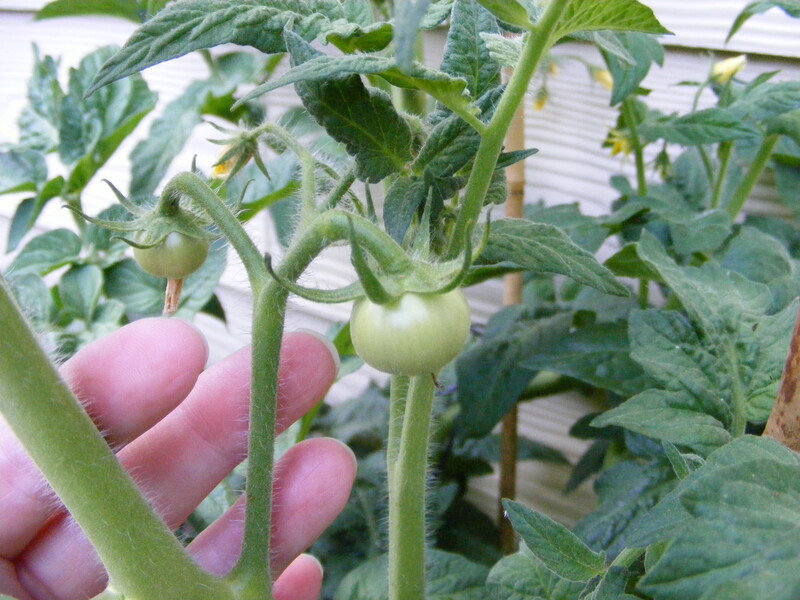 A tip on tomatoes – plant them in the largest pot you can find. You will see at the end of the season that the root system of the tomato has completely filled the pot. I know a gardener that plants her tomatoes in huge garbage cans by drilling drainage holes in the bottom and then filling them with potting soil!